When an extra fold of skin develops on the upper eyelids the eyes look ‘hooded’ and may have a tired, sad or ageing appearance. This tends to happen with the passage of time but it can be significant in younger adults. Sometimes there is so much extra skin that it rests on the eyelashes and it can obscure peripheral vision. Extra skin also develops on the lower eyelid. In addition, there is a small pad of fat which sits under the eyeball and this may spread forwards. 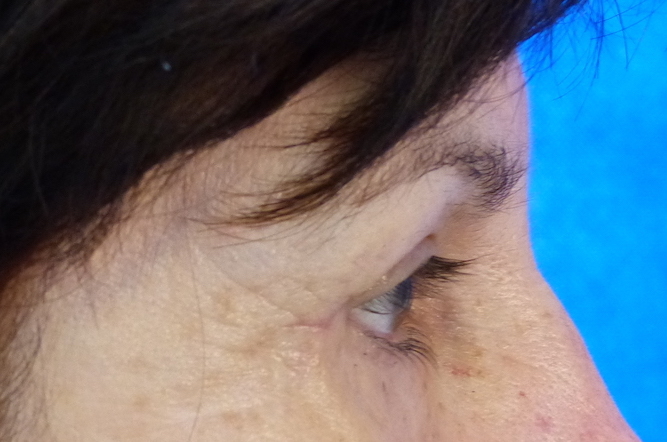 Wrinkles and bags are present in the lower eyelid as a result of these changes. This makes eyes look puffy and tired. Again, this is age related but it may be seen in younger adults. This is a plastic surgical procedure which refreshes the eyes. Blepharoplasty treats hooding of the upper eyelids and removes bags and wrinkles in the lower eyelid. As a result the eyelids look younger, less tired and puffy. You may also feel more comfortable and improve peripheral vision by having excess eyelid folds removed. Drooping of the eyebrow may contribute to hooding of the upper lid in some cases. 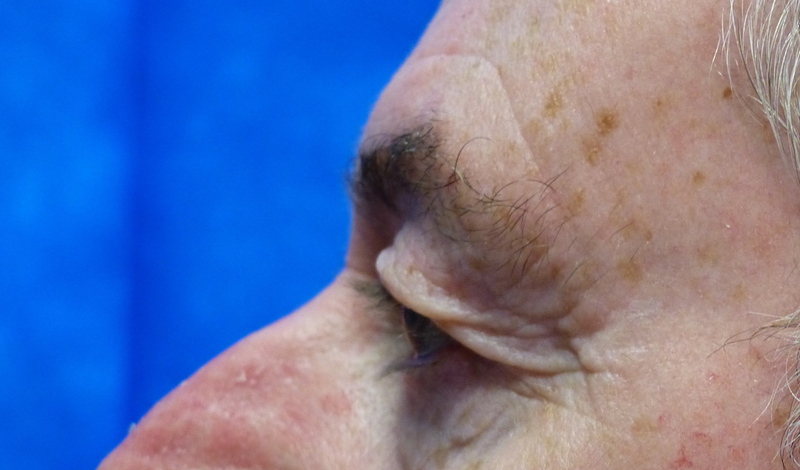 This problem can be worsened by removing the eyelid skin; it may be necessary to correct this as well or plan for the possibility of correcting this in the future. The appearance of the lower eyelid can also be affected by droopiness of the skin and fat which usually sits on top of the cheek bone. This is also a problem which can be corrected. Expert consultation and careful assessment of your eyelids and the whole face is an essential step for Blepharoplasty surgery. This is typically a day case operation and it can usually be done whilst you are awake (local anaesthetic). This is especially the case if only the Upper Eyelids are being treated. Lower lids more frequently require asleep (general anaesthetic) surgery especially if eye bags are pronounced. It takes approximately 40 minutes to treat the upper lids and approximately an hour to treat the lower lids. 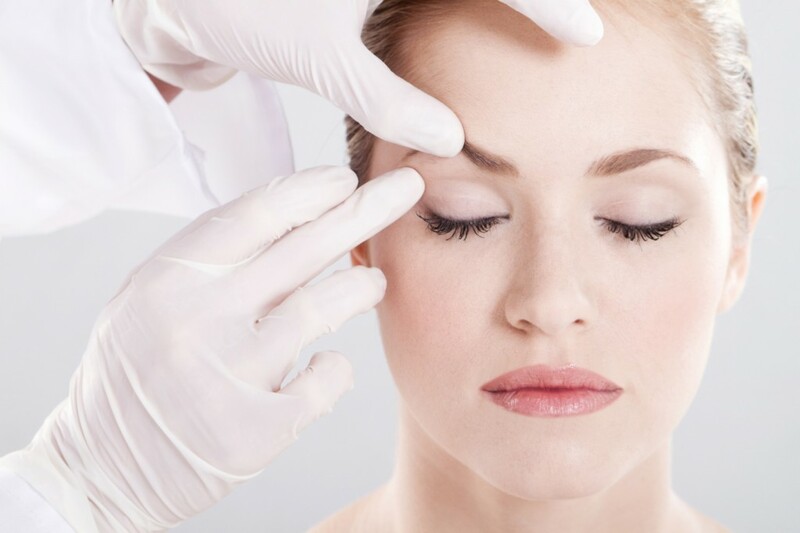 Immediately before surgery, careful measurements are made of the eyelids and markings are made on the skin in order to plan precisely the correct amount of skin to remove. After surgery you should avoid lying flat or bending down for 5 days. Try to spend this time quietly at home. There will be some bruising around the eyelids for nearly 2 weeks. Sticky tapes are applied to the eyelids after your operation and these are worn for a week until it is time to remove the stitches. The eye may feel a range of symptoms in the weeks after surgery although these should all be mild (gritty, dry, watery, sore). Eye drops or ointment may be necessary for a week after surgery and in some cases a further course of eyedrops will be needed. You should be able to return to most normal activities within a week of surgery. There may be some residual symptoms or mild swelling which can take several months to completely settle. 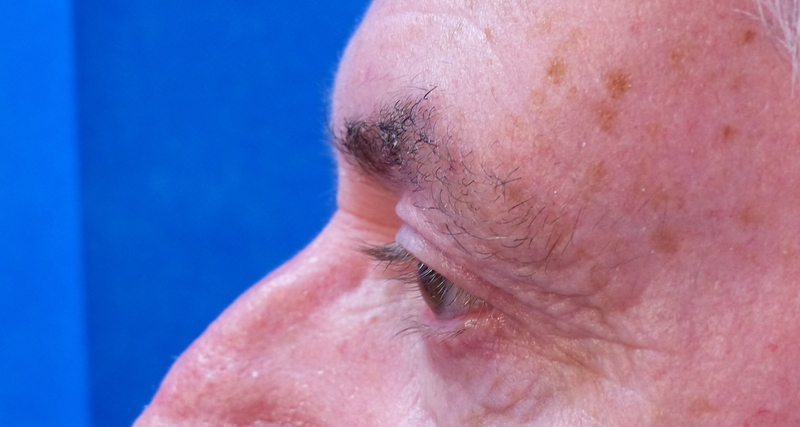 Are there any scars following Blepharoplasty? Upper eyelid scars are placed in the natural eyelid crease approximately 8mm above eyelashes. In the lower lid is placed immediately below the eyelid margin. Upper and lower lid usually extend into the crow’s feet lines. These scars are expected to heal very well and become inconspicuous within 3 months of surgery. You can use eye make-up to disguise scars after 2 weeks. Sometimes scars take a bit longer to fade and, very occasionally, some additional treatment may be necessary to treat thickened scars. Severe complications and risks are uncommon and this is generally very safe and effective surgery. After lower lid surgery there may be some drooping of the lower eyelid due to post surgical swelling. This commonly resolves after 2–3 weeks but it may rarely be permanent. Mild visual disturbance is common due to post operative swelling which resolves quickly. It is possible but rare to develop permanent double vision following lower eyelid surgery due to scarring around the eye muscles. Infection is very unusual (approx. 0.5%) but antibiotic tablets or drops may be required if this occurs. Heavy scarring is also rare and it can be treated if it does occur. Very rarely (less than 1:100 000) urgent treatment may be required to deal with excessive bleeding which could damage eyesight. You should immediately seek help if you have considerable pain and/or bleeding after surgery. If you feel that your eyes look baggy or tired as a result of advancing age then blepharoplasy surgery may be helpful for you. If eyelid skin folds are reducing peripheral vision or making your lids feel heavy you may also be helped by Blepharoplasty. You should be in good general health and have no other eye diseases. It is important to know that your eyes are healthy in advance of surgery. If you have not had your eyes tested in the last 6 months you should do this in advance of your appointment if possible. It is helpful to bring information about eye test results and any other current or previous eye conditions or treatment. Eyelid surgery is a popular operation in men as well as women. 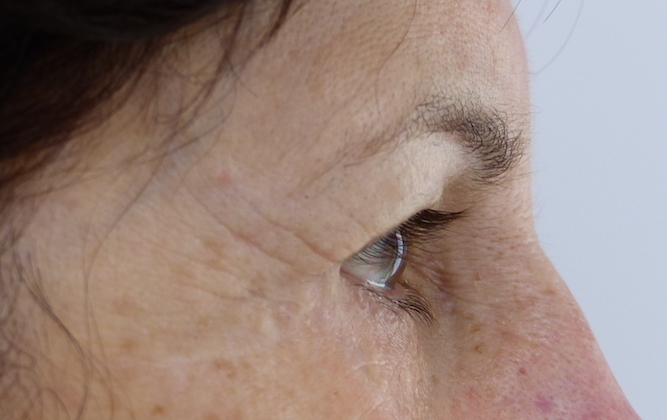 Folds of skin make the eyes look old and tired and can, sometimes obscure peripheral vision. Heavy fold on the upper eyelid. Fold of skin is removed to rejuvenate the upper lid.